I know I’ve got a few ladies who like to hear the latest deals at Liberty so thought I’d share what’s happening this month with Hungarian skincare brand, Omorovicza. Hailing from Budapest, the luxury brand (who centres their products around the health benefits of Hungary’s thermal waters) have sent their head therapists, Beata and Dominika to the UK for 10 days. Until the 25th June, they’re available on counter in Liberty where they’re teaching Omorovicza facial massage techniques and providing personalised product recommendations. In addition to this and in celebration of the refurbishment of the beauty hall at Liberty, you can take advantage of the following special offer. 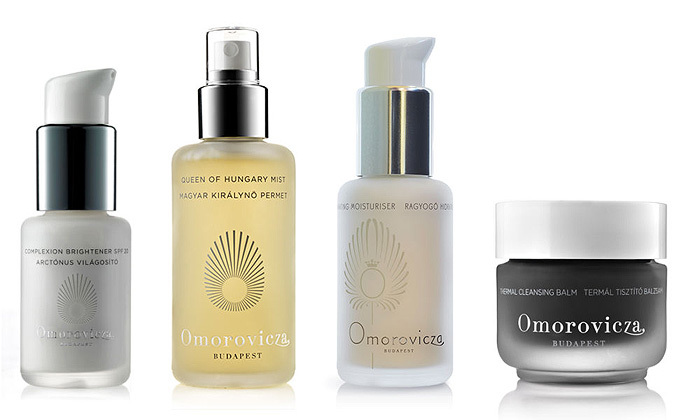 Purchase any Omorovicza three product combination, and you’ll receive a free full size moisturizer of your choice and a travel size Queen of Hungary Mist. If you’re interested, call 0207 573 9402 to book your free 30 minute one-to-one appointment with Beata or Dominika.